In Hayward, California, south of Oakland and Berkeley on San Francisco Bay, Thomas Cunningham was out for a short walk with his 13 year daughter and their dogs on the evening of November 24. One of the dogs sniffed at a black man. The black man didn’t like it, began arguing with Cunningham, pulled out a gun and shot Cunningham dead in front of his daughter. What is to be done? I’m always saying that the truth about the ongoing murder of whites by blacks must be publicly spoken. But what if it were publicly spoken? What if our society fully acknowledged that the black-on-white predation-intifada was happening? What then would we do about it, in the short run? I’m not talking about long term, revolutionary plans such as a separation of populations. What can be done now, within the present political structure of the United States? For starters, every white person who resides in an area with a large number of blacks or Hispanics needs to carry a weapon. Which means whites must demand conceal-and-carry laws in every state of the Union. That is not a utopian agenda. That is something that is possible now. Every white living in a city with a significant non-Asian minority population must act as though he were living in the Old West, carry a handgun with him at all times, and be prepared to use it. As George Washington said about peace between nations, the price of white safety in a multiracial society is the constant preparedness to use force. And to anyone who thinks I am racist, i.e., morally wicked, for speaking this way, I answer that YOU who have systematically and deliberatetely made white people unconscious, passive, and defenseless in the face of an ongoing deadly threat to their lives are the immoral ones. The blood of thousands—the lives cut short, the families destroyed—is on your hands. HAYWARD—Relatives say Thomas Cunningham loved his 13-year-old daughter more than anyone in the world. The 38-year-old Hayward resident shared custody of the girl, spending a week with her, then a week away from her. It was an agreement that the girl’s mother, Nancy Cunningham, never had a problem with since her separation from the father a year and a half ago. The father and daughter were returning from a two-block trip with the dogs—a year-old German shepherd and an unspecified smaller breed—on Tuesday night when something terrible happened. They had just purchased ice cream treats from L&M Liquors and were headed along upper B Street shortly after 10 p.m. when the German shepherd, described as playful, sniffed at a man standing on the sidewalk. The man didn’t like it, and told Cunningham to get the dog away from him. His daughter pulled the dog away, but the man began to argue with Cunningham. The man got angry, pulled out a handgun and shot Cunningham as his daughter looked on. Cunningham was pronounced dead after being taken to Eden Medical Center in Castro Valley. The gunman was described as black, in his early 20s, 5-feet-4 to 6 feet tall, with a very slight build. He was wearing a dark brown or black hooded sweatshirt with a white logo on the rim of the hood and possibly an orange design on the front, and very baggy bluejeans, police said. Police Lt. Christine Orrey said police believe more witnesses saw what happened, and urged them to come forward. “Some witnesses saw other people in the parking lot who would have had a direct view of what happened and the direction the suspect fled,” Orrey said. Through tears, Nancy Cunningham said she and her daughter are devastated. He also was known around the neighborhood as someone who was always willing to lend a hand. The shopping center that includes the liquor store is at the intersection of B and Vermont streets, with a Grocery Outlet as the main tenant. Jagdev Bajwa, a manager at the liquor store, said an armed guard patrols the shopping center to deter people from loitering or breaking into cars. The guard was using the store’s restroom Tuesday night when Cunningham was shot, Bajwa said. Bajwa said Cunningham would often come to the store to buy grocery items, often with his daughter in tow. On Tuesday, he had just closed the shop when the pair showed up, but he opened the door because Cunningham was a regular customer. Anyone with information may call Hayward police investigators at 510-293-7034. Also, Crime Stoppers is offering a reward of up to $1,000 for information that leads to an arrest. Callers may remain anonymous at 510-293-7197. Eric Kurhi covers Hayward. Reach him at 510-293-2473. Here’s an odd story by CBS 5 CrimeWatch. It says that Hayward police released last night a sketch of the killer of Thomas Cunningham, but it doesn’t include the sketch. It says the sketch was distributed locally to help find the suspect. Maybe the new approach of liberal media is to limit the publication of pictures of black murderers of whites to just the people who have an immediate need to know the perpetrator’s appearance. That way the rest of liberal society is spared the upset of being reminded unnecessarily of the continual reality of black on white predation. Having said that, I have noticed that these murders occurred in states that have pretty good concealed-carry laws. Therefore, if you are living in a state that allows concealed-carry, then you should get this license post-haste. I would also recommend my personal favorite CCW gun (if I lived in a city that would allow me to carry it): the S&W Airweight Revolver. It is very light; it can be carried in a pocket; and it fires 5 rounds of .38 caliber +P ammunition. Get a good defensive load with hollowpoint bullets and you are all set. As a concealed carrier I’d like to offer the following, if I may. First, carrying a pistol takes some getting used to. Any pistol, whether revolver or automatic, is awkward to carry, and is heavier than people first imagine. Therefore one must practice walking around in public to the point that it becomes natural. Also, one must practice shooting regularly. This can be costly, but if you are not willing to take the time to learn to shoot, the results are going to be commensurate. Anything other than .22 or 9 mm ammunition is going to be expensive, and, today, sometimes difficult to get as demand has consistently outstripped supply (the Obama effect). Any pistol chambered for larger caliber rounds (.38 / 9 mm or greater) is going to be more difficult to carry comfortably. There are some lightweight models in these calibers, but many find them hard on the hands (recoil), and if your gun is too rough to shoot/practice with, what’s the point? The smaller calibers (.380, .32, .25 and down to .22) are felt, by some, to be marginal defensive rounds. I really do not buy that line of thinking, inasmuch as shot placement is always the key: a .22 hit to the brain is more effective than a .45 in the arm. Besides, I’d much prefer a .22 auto as opposed to relying on my fists. Your reader’s advice for hollow-point ammunition makes sense only in larger calibers (.38 and above). A .32 auto is likely more effective with a 71-73 grain full metal jacketed bullet, due to penetration issues. Smaller caliber hollow points may either fail to expand, or, if they do, not penetrate to a vital organ. This is especially true in the winter when people are wearing heavier clothing. Contrary to what is shown on television, short of a central nervous system wound, an attacker is likely to remain conscious and mobile after being shot. Thus, multiple shots are your best bet, and for this some believe a single-action auto pistol is ideal. Whatever the case, a head shot is best; next best is is probably an upper thoracic wound affecting lungs, aorta, and/or heart. My wife and I live in a downtown area. We routinely walk at night (it gets dark early in winter) but stay in well lighted and well traveled areas. If we see a school of blacks or browns we always cross the street. There is no sense being foolish. Approaching one on one I always keep my hand in pocket firmly gripping the pistol ready to pull it out until we pass. One must always stay vigilant. The first sentence is not correct. California is a “may issue” state. That is, a permit to carry a concealed firearm may be issued, at the discretion of usually the sheriff of the county. The issuance of such permits varies hugely across California; in Los Angeles county, there are a tiny handful of rich and well connected people with permits to carry. The same is true in the Bay Area counties. More rural areas, such as up around Shasta or east into the Sierras, it is much easier to obtain a permit, however, it is still a political issue. One must convince the sheriff that one isn’t going to be stupid. The decision can be completely arbitrary and there’s no appeal. Therefore the likelihood of soemone like Cunningham being able to get a permit to carry a firearm in the urban area of California is essentially zero. San Francisco has one (1) gun store in the entire county/city, assuming it is still open. You can be assured that no ordinary person in Nancy Pelosi’s House district will ever get such a permit. New York City has a permit process, but it is arbitrary and there are multiple hoops to jump through. Essentially, again only the rich and politically connected will obtain a permit to carry a firearm in New York. Chicago is even worse. Contrast that with the majority of states: Texas, Florida, Arizona, Wyoming, Alaska, Utah, Oregon, Washington, Virginia and so forth, where the requirements are not arbitrary. They vary from state to state, some require training, some do not, some require a shooting test, some do not. Some require that fingerprints be sent to the FBI, some do not. But in all cases there are clear rules for application for a permit, and if one meets them, and is denied, there is an appeals process. The typical CHL holder is a man over 40 years of age; he has something to lose, and is not likely to prevail in a physical combat against 20-something hoodlums. Such a person is also a very, very low risk when it comes to committing any crime of violence. I would commend to the attention of everyone who reads this weblog a slim volume by the late Jeff Cooper entitled “Principles of Personal Defense.” It’s not so much about how to fight, as about how to be aware of the world around you such that if you have to fight, you have a chance of prevailing. I generallly agree with Michael P. about practicing with any gun that you buy, be it a revolver or an automatic. The thing is, revolvers seem to have a much shorter learning curve compared to an auto. Auto pistols seem to need a break-in period of several hundred rounds with a chosen defensive load before the gun can be relied upon for self-defense use. Furthermore, there are potential misfires to deal with (a bullet does not go off and doesn’t feed the next round) and the gun could jam. There could be issues of grabbing the gun incorrectly and releasing the magazine because the button is located on the grip. Again, they are not insurmountable problems and can be worked through in training, but it seems that small-frame revolvers are ideal for people who are not gun hobbyists. The Airweights are small guns. If a round does not fire in one chamber, then you can go to the next. You can even mix and match ordnance in a revolver if you so choose just to see how it performs, etc. And .38 Special ammo seems pretty cheap. Yes, .FMJ’s work better for anything smaller than a .38. As for concealed carry laws, California is Hell. Illinois is worse. But what about Tennesse? Or North Carolina? Predatory blacks should not have had such a free reign as to murder those kids. This information is a valuable service to all. The difference between paranoia and sanity is the self interest rating applied by the mental state. Your mental “attitude” is the God given sense that we all have. Ignore it at you peril. I am an older guy with two daughters. I have a ccw [permit for carrying a concealed weapon] and usually am carrying. When I travel with my family I am usually carrying but I also consider that the safety value whatever weapon I have is little compared to my mental attitude. Any trainer of lethal force (which I am not) will tell you the same thing. Be mentally prepared. A classic book on firearms and self defense is: “In the Gravest Extreme: The Role of the Firearm in Personal Protection” by Massad F. Ayoob . His main theme is: avoid a confrontation especially when armed. If Mr. Cunningham had a weapon would he have argued with the black? Would that have prevented him from being shot? A more recent book dealing with the rational use and appreciation of our “fear” instinct is “The Gift of Fear,” by Gavin De Becker. This is an excellent book dealing with awareness and rational use, listening to, our sense of fear. It is not a firearm advocate book but is useful for most people who do not like to have the lethal force option in their safety plans. Mr. Cunningham is now dead, bless his soul, and may God’s mercy be shown his daughter who had witnessed this barbarism. However here are some points for your readers to consider regarding personal safety and carrying a firearm. 1) Be aware of your surroundings. Going with your daughter to a store which needs an armed security guard is a risk. Why go out at 10pm? Travel by car to a more secure environment, then walk. 2) Does the neighborhood have a visible, noticeable presence of NAMs [non-Asian minorities]? If so, why take the chance? 3) A firearm is a last chance, back to the wall, no other option, tool. Carrying a lethal weapon does NOT make you invincible! You can still get shot. Ask any cop. Personally, I avoid NAMs as much as possible. When I’m traveling, if a store, restaurant, or other seems to have a noticeable presence of them, I get back in my car and go somewhere else. I don’t need to take the chance. Yes, I am armed, but my goal in life isn’t to tilt at windmills. Well, I am sure that all my neighbors don’t love me, but we get along. So much to say, but this is the Eloi mentality that is in itself deadly. In regards to your exhortation that whites (and Asians, although you don’t say this) ought to be armed: pregnant women and women trying to conceive should not train with firearms, as the lead and noise exposure are dangerous to the unborn child. And, of course, you cannot take your newborn with you to the range. So a woman fulfilling her reproductive function can still carry, but her ability to train is going to be severely limited for a matter of years, possibly even a decade. A woman in her reproductive years who is fulfilling her reproductive function and who wakes up to the threat does not have the same options for protection that a man has. Notice again, in the last two murders you cite, the ever-present East Bay, i.e. Oakland and Richmond. People who have not lived in the East Bay simply do not understand what evil lives there. It’s palpable, real. It literally changed me, who I am as a human being, in a fundamental way. It doesn’t surprise me in the least that these awful murder stories are all connected to the East Bay. Conservative bloggers would do well to focus on the area, as its mix of white liberal rule and majority-minority population is clearly our future. If you want to see what the U.S. will look and feel like in 20 years, spend some time in Oakland, Berkeley, and Richmond. If we want to warn people of what the future has in store for us, I know of no better test case. Of course, in our country, with its East Coast establishment, places like the East Bay don’t get the play, they’re not part of the national dialog. 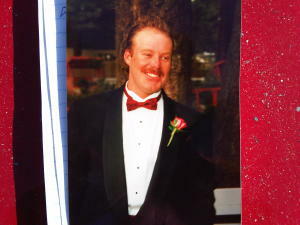 I have read your entry about the Thomas Cunningham murder and the many excellent comments. For one thing, Cunningham was out walking with his daughter at 10 pm. Not a good idea. It’s too bad that we can’t go out whenever we want to, but that’s how the world is. There is a whole class of people that you would not see at noon who are out and about after dark. This is not only true of big cities, but of small towns. What can be done now, within the present political structure of the United States? For starters, every white person who resides in an area with a large number of blacks or Hispanics needs to carry a weapon. Which means whites must demand conceal-and-carry laws in every state of the Union. We live in a society which values equality and non-discrimination. How do you propose allowing whites the right to arm themselves without also granting the same privilege to blacks? Look around you. Those areas which are largely NAM-free, regardless of political leanings, already have the laws you are advocating. Blacks tend to lack the capacity to accept the responsibilities which whites generally take for granted. Banks used to prefer lending to those with collateral for good reason. Likewise, the safest areas are the places which offer the least restrictive gun laws. 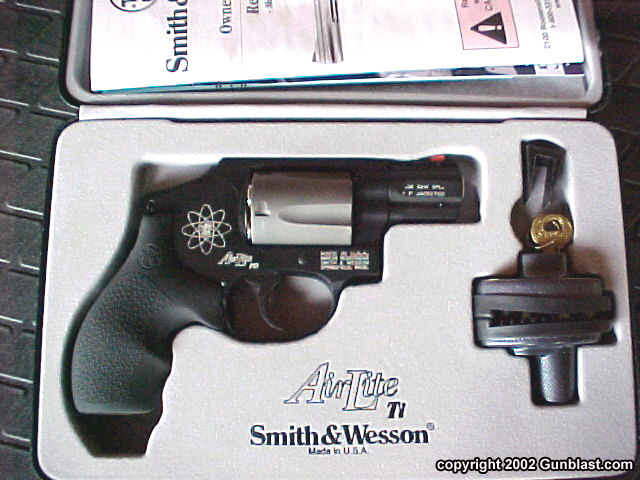 I would also recommend my personal favorite CCW gun (if I lived in a city that would allow me to carry it): the S&W Airweight Revolver. It is very light; it can be carried in a pocket; and it fires 5 rounds of .38 caliber +P ammunition. I’ll tell you what Mark, let me know when you get a license and I’ll sell you mine at a special “friend of Auster’s” discount. If lightweight’s what you crave, this one has a titanium cylinder. It tips the scales at a mere 12 ounces. I never dreamed a .38 could have such a punishing recoil. I bought it new, shot it once, put it back in the box and never picked it up again. I think my hand is still recovering. The gun does have many advantages. The enclosed hammer prevents snagging on clothing when pulling it out of a pocket. During the winter it might be better to not bother pulling it out at all, since the only thing moving externally is a little revolving cylinder. You might have to sew that hole in your coat but nobody saw a thing. Unlike pistols, there are no embarrassing shells left at the scene. Also, revolvers have fewer jamming problems and no safety to forget in the heat of the moment. People still have to pass background checks to get permits. The blacks with criminal backgrounds—a very substantial part of the black population—wouldn’t be able to get permits. You offer us a logical response when we live in an insane world. If your proposed legislation were passed, before long the NAACP, ACLU and the reverends would produce studies demonstrating the disparate impact the laws were having on the black community. Their first law suit would result in a compromise which allowed all non-violent black offenders to qualify for a license. Later suits would result in loosening restrictions until only convicted black murderers would be disqualified. A better argument you could make is that criminals, by definition, do not adhere to laws. They will and do write their own licenses and have been armed all along. I’m just trying to find a way to enable you to carry your impressive arsenal with you on the street, and not just keep it in your apartment for home defense. Having a bit of experience in the carrying of weapons in dangerous places, I recommend a Glock 19. It’s a 9mm handgun that’s very light, extremely reliable, accurate and easy to handle. A 15 round clip, packed with hollow points, is more than enough to get the job done, even if confronted by the most savage of the savage. While in Iraq I carried every day for eight months. Within a few weeks, packing became a routine thing; part of one’s daily routine like having breakfast or a cup of coffee. I would never be caught in a black inner city area without a loaded, racked weapon at my side, even though I’m a pretty intimidating man when I have to be. It shocks me to the core that so many of these white victims circulate among the savages every day, unarmed, unaware and just begging to be killed. I wonder whether or not years of being told how evil they are by the leftist establishment, infuses many whites with a subconscious death wish. 40 of our 50 states are already shall-issue, rather than may-issue, states, thanks to the efforts of the NRA. While defeatists tell us why it cannot be done, it already has been done. It appears Mike Berman is a lot better at asking questions than making predictions. Yes, but Mr Coleman neglects to mention that one reason legislation was able to pass and survive in many of those states—some with large black populations—is that “the NAACP, ACLU and the reverends” have done none of the things Mr Berman claims they would do. Why would they? They support the disarmament of blacks more strongly than does any segment of the white population! And for good reason—they know their neighbors! On the other hand, you didn’t answer (fully, at least) Mr Berman’s legitimate question. There are already conceal and carry laws in a majority of states. Many of those states have significant black and Hispanic populations. I’m not aware of the supporters of conceal and carry laws saying that these laws are counter productive because they enable law abiding blacks and Hispanics to carry as well. Beyond that, and regarding your question of looking to get Switzerland-for-whites, Jamaica-for-blacks, as I said in the initial entry, I was not asking about a revolutionary change in America; I was asking about what can be done to make white people safer from black and Hispanic violence within the present political structure of the United States. Does my answer get me up to a half point? Yes, sorry about that … I realized after hitting “Send” that by conceding you had partially answered the question, you by definition had a partial “point” coming. Actually, Mr Berman should get the zero, because his claim is so knee-jerk neoconservative (kneeo-con?) and counter to available evidence that it would cancel out any good his question does. Similarly, support for gun prohibition from the civil-rights industry cancels out any and all of their other claims to equality. Genuine civil-rights theory does not even require equality, only adequacy. C-work is not A-work, but the C student gets the same diploma as the A-student; only the F-student is denied. Black leaders are grading their constituents “F”, and we should make the most of that. BTW, the only states left with a blanket prohibition on concealed carry are Illinois and Wisconsin. (I’m moving to the latter next year, and somehow doubt my Palinesque in-laws pay any attention to it.) But in a way, this is more fair than the “may-issue” status of New York and California, as the Feingolds are treated like everyone else, while the Feinsteins most certainly aren’t.